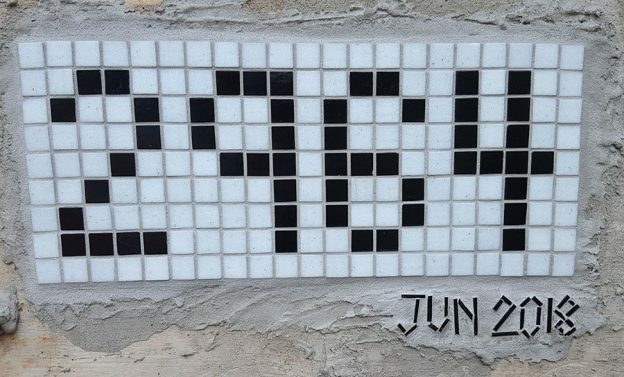 This entry was posted in Material and Tool Information and tagged outdoor mosaic on June 12, 2018 by Joe Moorman. 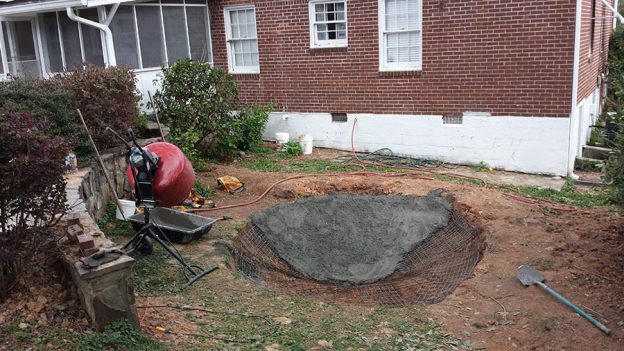 This entry was posted in Improving Your Art, Material and Tool Information, Step by Step Instructions and tagged backer board, mosaic tool, outdoor mosaic, thinset mortar, waterproofing on June 10, 2018 by Joe Moorman. 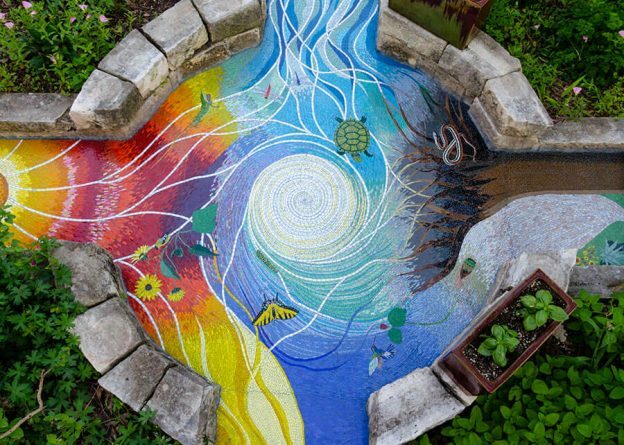 “Amateur” artist Tobin recently completed his Four Elements garden mosaic, and it is amazing for several reasons, the least of which is the fact that it was created over a span of six years with the artist getting up at 5 am to spend 45 minutes on it before leaving for his day job in corporate project management. 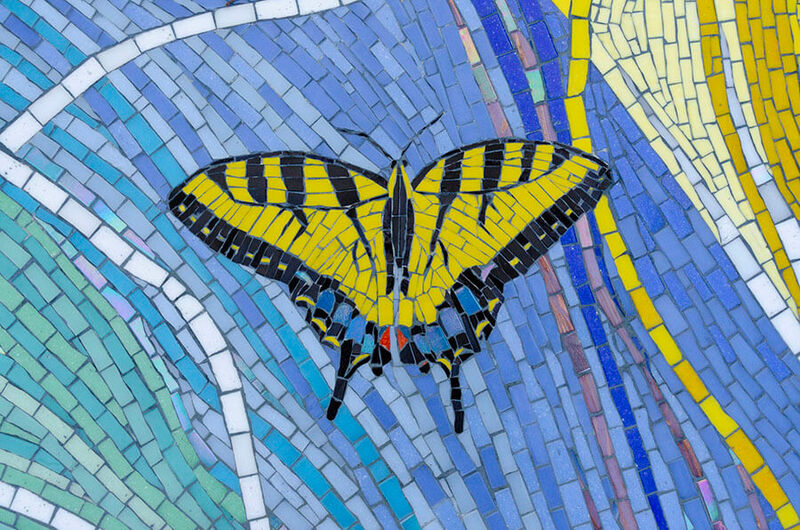 Mosaic Swallowtail Butterfly. 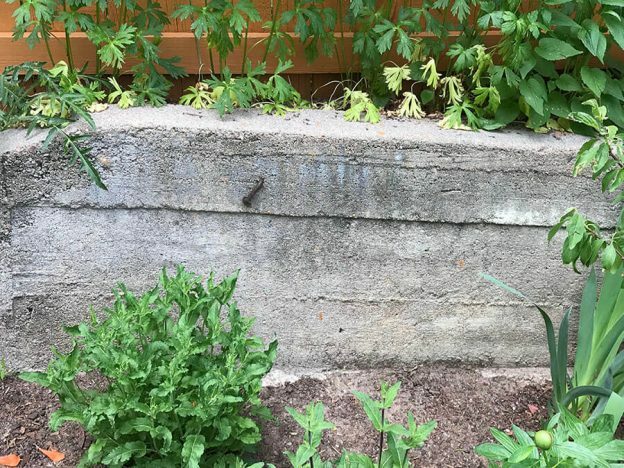 Note the uniformity of the grout gap in the background, which is as impressive as the detail in the butterfly. 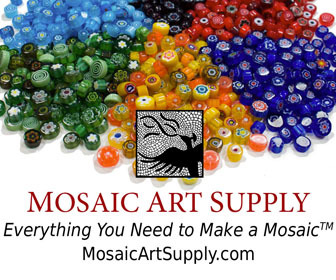 This entry was posted in Art Review, Improving Your Art and tagged animal subject, garden mosaic, outdoor mosaic on April 19, 2018 by Joe Moorman. It’s EXTREMELY important to allow yourself to do creative projects on impulse without overthinking it. The reason is simple: research tends to kill the creative urge, at least for most people. Research can become an end in itself and go on to long and kill enthusiasm or the window of opportunity is lost. Advice isn’t one-size-fits-all, especially artistic advice. People forget that the examples they are looking at were made by masters or that the advice was written for professional results of a particular criteria that isn’t relevant. Corruption of the original vision. Usually creative ideas evolve and grow by incorporation, but sometimes new inputs can overwhelm and kill the dreamlike essence of the original inspiration. Sometimes too many ideas and possibilities occur to the artist, who is then unable to choose one and focus on it. Instead of naively charging in like a kid playing and learning through play, adults tend to want to reduce the process to executing a known procedure as much as possible. That really isn’t art, at least not in the experiential sense for the artist. 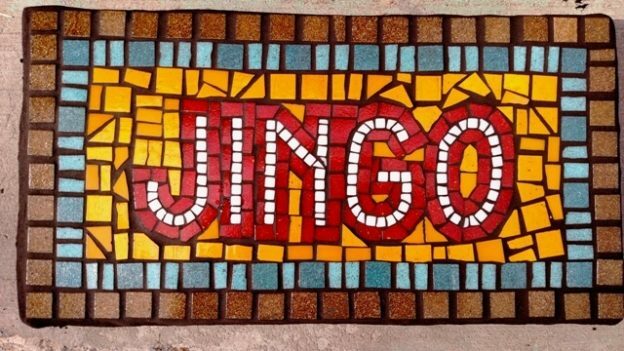 This entry was posted in Improving Your Art, Joe's Rantings and tagged outdoor mosaic on April 5, 2018 by Joe Moorman. 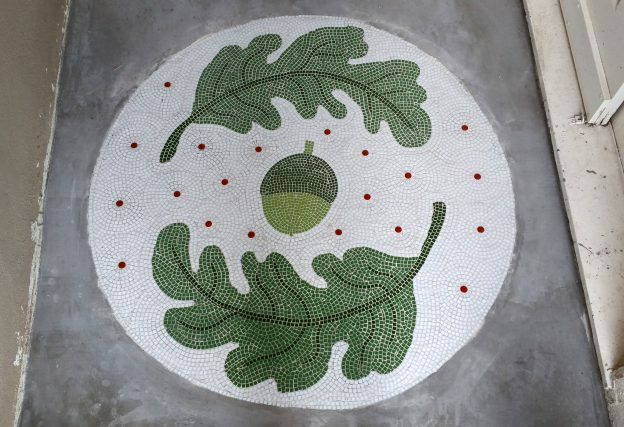 Ana Bonnin emailed us some pictures of her recent entranceway mosaic, and I wanted to share these with our readers. Ana’s pictures also made me remember that I needed to summarize what I know about best practices for making porch mosaics last longer. 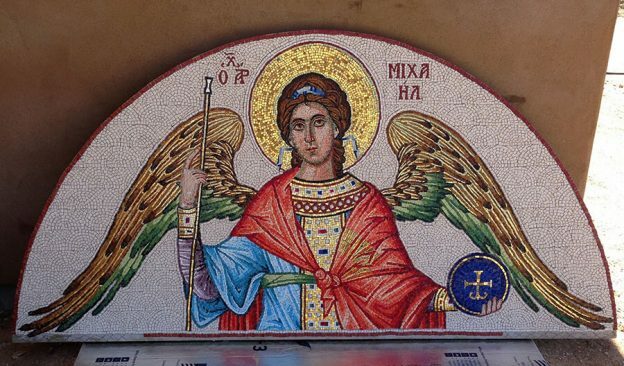 This entry was posted in Art Review, Improving Your Art and tagged contemporary mosaic, outdoor mosaic, waterproofing on November 16, 2017 by Joe Moorman. 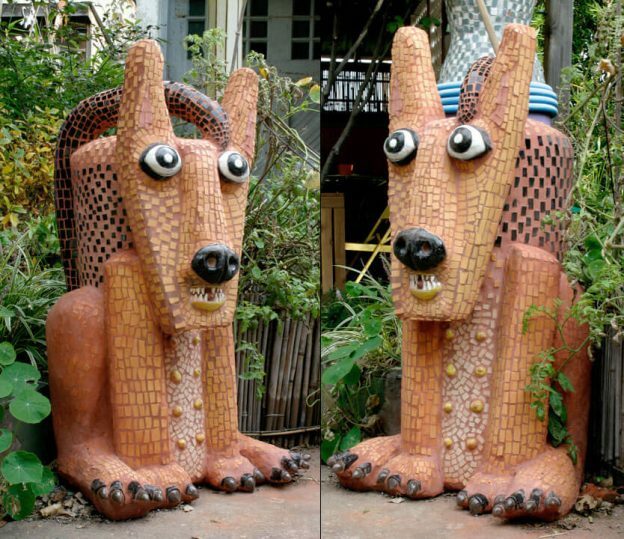 Artist Marilyn Keating has some mosaic lawn sculptures of animals that are very much worth seeing, especially if you are considering making some yourself. Rather than trying to make her animals as naturalistic as possible, Marilyn wisely chose to make her animals stylized and whimsical, almost like three-dimensional cartoons come to life. I used the word “wisely” because this style of art is more enjoyable to make and to see. 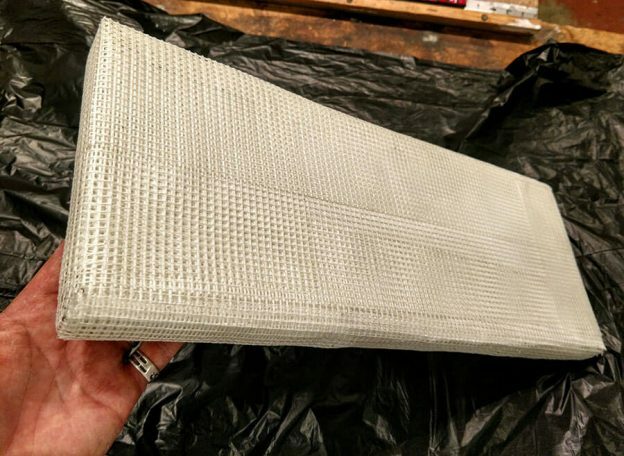 We live in an age of mass production and machine precision, and so exact replicas of life often look artificial and devoid of humanity and art. On the other hand, Marilyn’s creatures are exuberant and “real” in a way that “serious” reproductions of real life aren’t. 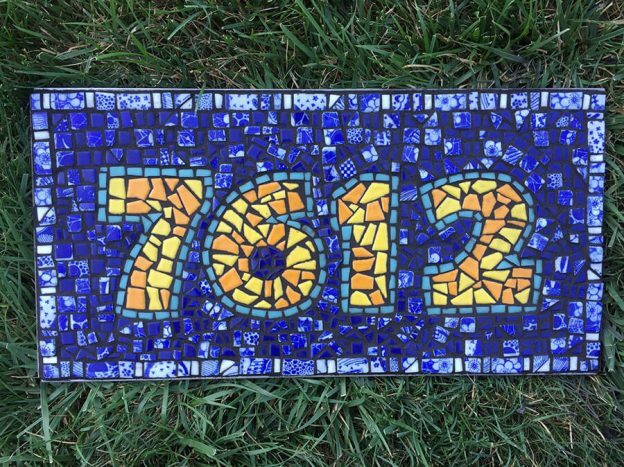 This entry was posted in Art Review, Improving Your Art, Inspiration and tagged animal subject, garden mosaic, outdoor mosaic, sculptural mosaic on November 2, 2017 by Joe Moorman.